My ebooks are now available free of charge. Sales of my ebooks (and tips) allow me to continue my research into human-induced and natural climate change and to continue to blog here at Climate Observations and at WattsUpWithThat? The hyperlinks in the following are to the webpages that further describe the books. NEW: Climate Models Fail was first published in September 2013. It illustrates and discusses the many flaws in the climate models prepared for the IPCC’s 5th Assessment Report. 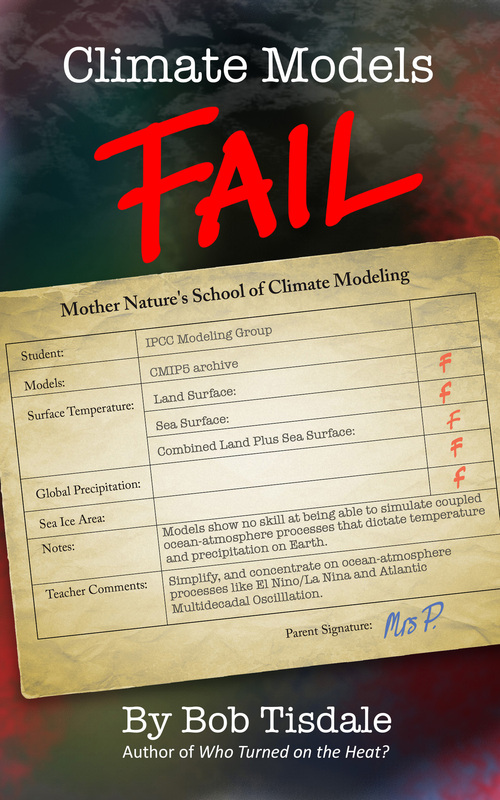 Climate Models Fail is Now Free. Copy here. Who Turned on the Heat? was published in September 2012. It is a very detailed introduction to, and discussion of, the coupled ocean-atmosphere processes that drive El Niño and La Niña events and cause El Niño and La Niña events to the be one of the primary causes of global warming over the past 3 decades. Who Turned on the Heat? 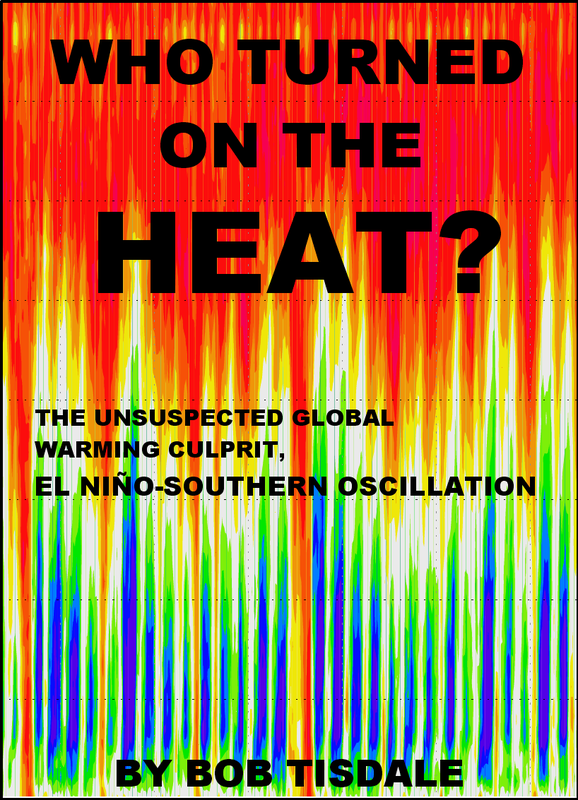 – The Unsuspected Global Warming Culprit, El Niño-Southern Oscillation is Now Free. Copy here. This ebook is no longer available. If the IPCC was Selling Global Warming as a Product, Would the FTC Stop Their Deceptive Ads? is my first ebook. It was first published in February 2012. Also see the Kindle edition introduction. It’s an examination of the earlier generation of climate models prepared for the IPCC’s 4th Assessment Report. To be honest, most of the same subject matter is included in Climate Models Fail and Climate Models Fail presents numerous other climate model failings. I also really appreciate tips. They help allow me to continue my research and blogging. PayPal donations/tip link. UPDATE: 30% of my before-tax personal income from the sales of my ebooks (my profits from .pdf edition sales and my royalties from Amazon Kindle edition sales) from November 1, 2013 to December 31, 2013 will be donated to the Philippine Red Cross disaster relief for the victims of Typhoon Haiyan/Yolanda. UPDATE 2: The donation was made on January 1, 2014. This entry was posted in Essays & Books. Bookmark the permalink. Pingback: Open Letter to the Executive Producers of YEARS of LIVING DANGEROUSLY | Watts Up With That? Bob, I am a novice to global warming and I found your book on enso absolutely fascinating. Your illustrations were superb. You made a technical subject easy to understand. what struck me most was something from my days as a six sigma black belt. I learned that sub-grouping of data is a good way to understand root causes. Aggregated data can be very misleading since underlying process variability is masked. Your sub-grouping of the oceans opened my eyes. Obviously there are several sub-processes effecting weather and each of them need to be understood. If the global warming models cannot predict the sub-process result, the y, they do not know the x factors and therefore they have no understanding of the process. Thanks, Jack. On the other side of the coin, global warming enthusiasts accuse me of cherry-picking subsets. Pingback: Open Letter to Jon Stewart – The Daily Show | Watts Up With That? Pingback: If 99 Doctors Said… | Watts Up With That? I’m new to this debate (where have I been you might ask? )…led by a trail of breadcrumbs from Simon Carr, to Donna Laframboise, Judith Curry and finally to you. Being a lapsed physicist, I’ve found your blog and books (which I’m still working through) extremely helpful in getting up to speed. I applaud your rigorous approach (one man’s cherry picker is another man’s freedom fighter) and your tireless application. Please continue the good work and I hope you will come back to full time participation when funds allow. To that end, I agree with Roger Pielke Sr. that you should publish – it seems you would have a lot of support. Welcome aboard, Ian, and thanks very much for the kind words. Regarding publishing my findings in peer-reviewed journals, I have a different opinion. A couple of papers by me would add little to the discussion. The greatest hurdle is letting the public know that the AGW hypothesis is flawed. Only then will the climate science community clean up their act. Regarding publishing (February 6, 2014 at 11:06 am), I now agree with you. My apologies, but I hadn’t realised in my absence from the scientific community how much the currency of peer-reviewed publishings has become under-valued. Some of the lack of rigour is astonishing. PS. Now finished your books – you’re a genius. When this particular climate crisis is over (and before we move onto the next one) I hope that your work is recognised. As an old “hand” in the global warming debate ( in 1972 I overheard some participants ,bankers not scientists, at an early UNEP meeting in Nairobi discussing the dangerous character of carbon dioxide) I downloaded your excellent book to use in discussions with my grandchildren. As they seem to understand that something is wrong with IPCC’s party line. Thanks. Thanks, oebele bruinsma. Glad to hear your grandchildren are seeing flaws in the IPCC. For several years, I have followed your work: thank you. Robertscribbler echoes the character Bartleby Scrivener; almost two centuries ago, C. Dickens commenced his very successful writing career. Fiction published, serially, in the popular press led to his novels. Reading Robertscribbler’s confection and the comments carried me back to my imagined reconstructions of reading societies in Dickens’ England. Fiction is a powerful tool. Robertscribbler, ethnomathematics [Agenda 21], Ravetz [post-normal science], and Lewendowsky’s poison comprise, are parts of, the attack on civilization. Your clear exposition of ocean dynamics and effects on weather/climate are crucial to the defense of observation and analysis as tools for understanding. I am in Costa Rica [home of C.Figueres, exec secy, UNFCCC]. When I return to the States, I will buy a couple of your works. Again, Thank You, for the valuable contributions. p.s. : can you ask Steve McIntyre to up-date your link in his blog-roll? John R T, thank you for the kind words. Hi Donald. Thanks for purchasing my books. Formal reference? I had to check online and used the “APA Style Guide” suggestions for Amazon Kindle books as a guide. Bob, I am a retired energy economist and policy advisor to the Canadian government who has worked in the field of climate and energy policy and programs for over 25 years. I have been conducting research and writing about this topic and seeking to improve my understanding of the scientific issues. Ii doing so, I have found your articles and books extremely helpful. Frequently, however, when I quote one of your works, I am confronted by the ad hominem attacks (on me and on you) that so typify adherents to the theory of catastrophic anthropogenic global warming. They typically question your academic credentials and/or experience upon which you can claim expertise. Would you please post some information here about that? Hi Robert. While I use my real name, I have attempted to maintain my anonymity. I will continue to do so. In another light, I present data and climate model outputs that are readily available online. The only expertise required is the ability to use EXCEL. In other words, anyone can do what I do. This isn’t rocket science. The fact that we use a Mean Radius in parsecs means that arc distance is shortened and lengthened just as orbital speed is increased and decreased. Can man control the earth’s climate, or is God in control of the weather? Do man-made carbon dioxide emission control the climate of the earth or does God control the weather? Who created the weather, man or God? Question: Did man-made CO2 emissions cause it to rain forty days and forty nights, and destroy everything but what was on the ark with Noah? Questions: Did man-made CO2 emissions cause the storm. Did man calm the storm by controlling their carbon footprint? Question: Do men have the ability to control the climate by controlling man-made CO2 emissions? Question: Can men control the climate by controlling man-made CO2 emissions? Who is in control of the climate, God in heaven or puny men on earth? Bob – I am reading Who Turned Up The Heat. You have done a brilliant job describing the underlying ocean mechanics underlying the various terms and processes used in climate science. Your combination of illustrations and explication allow me to understand complex and dynamic ideas with relative ease. I respect and appreciate your work. Thank you. I have editing feedback for you as I read. In service of your project, please contact me to give me some mechanism through which I can give you my feedback. mark aght beautifulprofit.com. Hi teloscientist. Thanks for the kind words. You’re more than welcome to leave editing comments on the thread for the book. Do you want me snip your email address from your comment? add to your “Categories” column (on right of this page) a cross reference to this page (ebooks by Bob Tisdale): Books. I missed the reference called “Essays and books” and found this page by searching a little. And everyone else could find it that way, too! 🙂 Just a possible help to promoting your fine work. A bold “Find All Bob Tisdale’s Books Here” (or something like that) on your homepage (top) might be helpful. Please forgive me if my Christmas e mail to you (sent 2 times, just in case…) was offensive. I hope you can overlook my mistake. I won’t do that next year. Hi Janice. Thanks for the thoughts. Happy New Year back atcha.